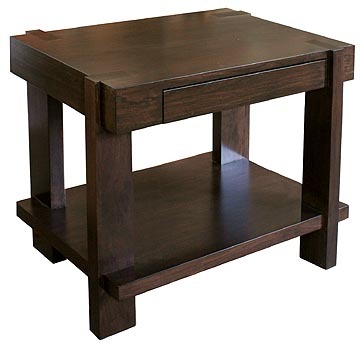 Nova Collection side table with unique leg placement, shown in walnut. There is one drawer with concealed finger pull in the top and a shelf at the bottom. 28"w x 19" x 24"h.